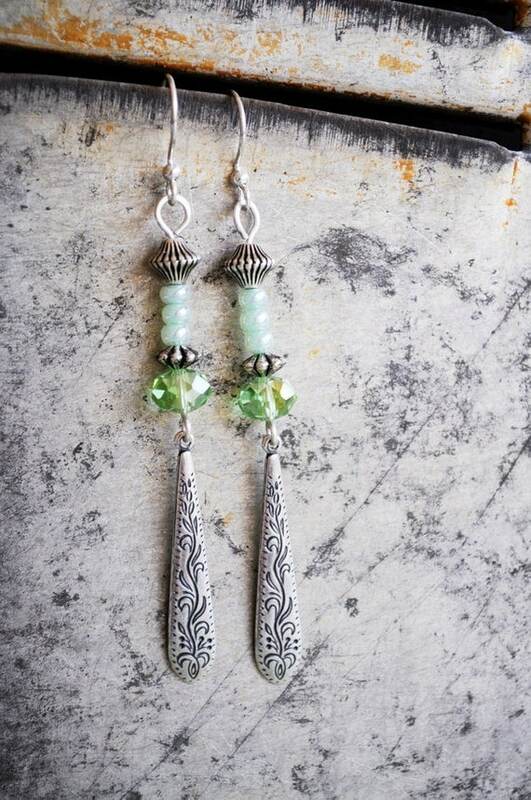 Silver and green dangle earrings with mint green pearlized glass beads and a larger faceted green glass bead, softly juxtaposed against the silver of the bicone beads and long teardrop dangle. All metal in these earrings is silver plate. The teardrop dangle is made by Trinity Brass Company, known for their fine quality. The silver bicone beads are all silver plate over acrylic, which helps keep the earrings lightweight. They're 3 1/4" long and weigh about 1/10 ounce. 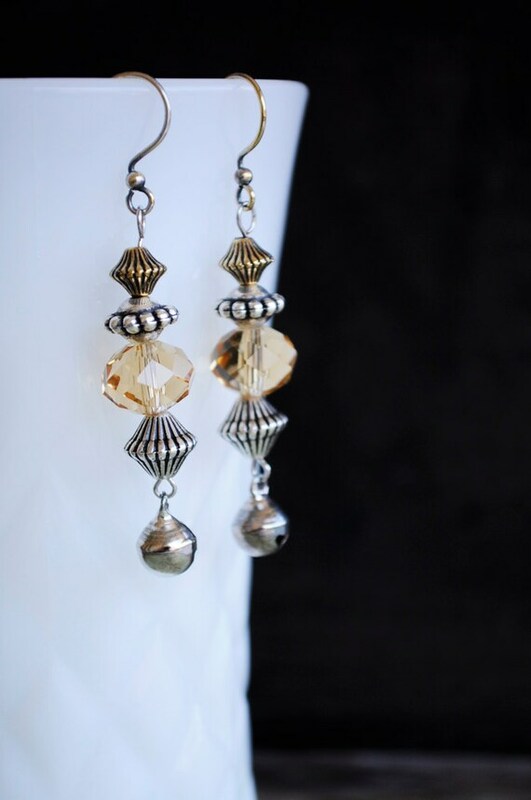 I made these pierced dangle earrings with silver plated wire and beads, accented by amber faceted glass beads. 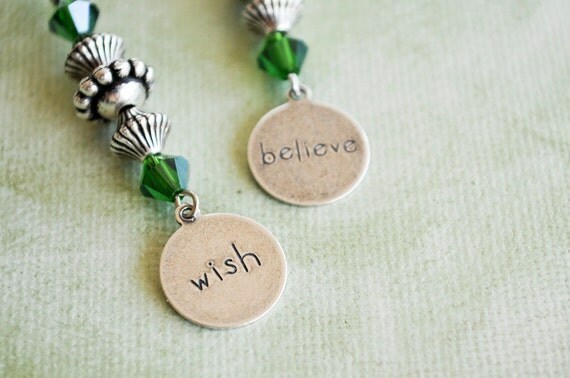 The silver beads are silver plate over acrylic, which keeps them lightweight. 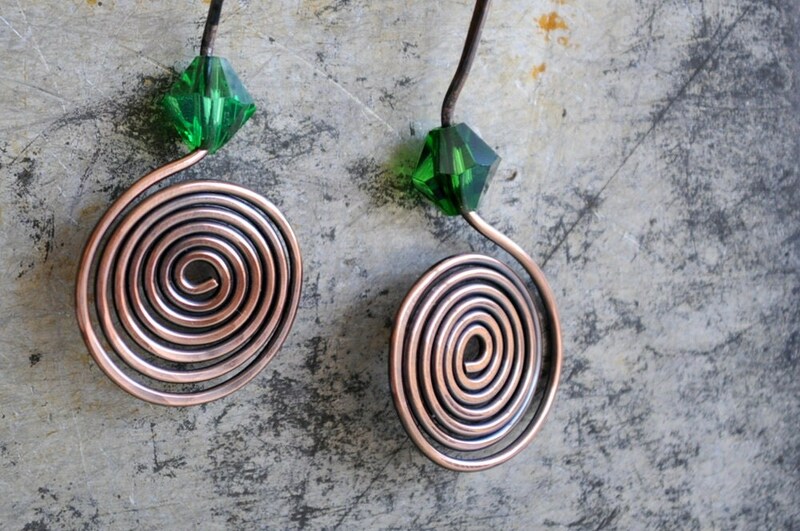 These charming earrings each have a little tinkling bell at the bottom. They are silver plate, which I oxidized and polished a bit. They are 2 3/8" long and weigh about 1/10 ounce each.